Husband Walter and I met in the fall of 1964 when he was a student in the "backshop" of The Student Printz, the local college's newspaper in my hometown. The Student Printz had contracted to typeset, lay out and print our high school paper. As a high school senior and co-editor of that high school publication, one of my responsibilities was to work with the college paper staff on production and to proof galleys and handle the page proofs later in the process. Hot type was still in use in the college's J-hole ( J for the Journalism Department, located in the basement of a classroom building), Printer's ink was to me a potent pheromone. We started dating in my freshman year, after I had abandoned what I considered agonizing studies required for a math major and enthusiastically switched to journalism. By my sophomore year Walter had graduated and we were planning a wedding. Once we became Mr. and Mrs., I transferred to another college closer to Walter’s work and our new home in north Mississippi. The years seem to have flown by as we worked, mpved to the Mississippi Gulf Coast, raised two sons, and saw them graduate from college, marry wonderful girls and present us with six grandchildren who totally fill our lives with love, light and laughter. Today is anniversary #44, and I send out Happy Anniversary wishes to Walter, my best friend, my partner in life’s adventures, my hero, my husband, a blessing to my life! Ohh, Happy Anniversary to you both! What a sweet story! What a sweet, sweet story! Happy Anniversary, and I'm wishing both of you many more happy years together :) I love the picture of the two of you, too! PS you both look great. A very "Happy Anniversary" to you and Walter! That was a sweet story...and nice tribute to your man. We have 11 Grandkids and three in heaven. God is so good! What a lovely story and a lovely photo! 44 years, wow! We just celebrated ours this month too, #12! Incredible how the years just sail right by. Happy Anniversary! Happy anniversary to 2 special people. I only wished we lived closer so we could have "girl talks". Miss you and hope your day is HAPPY. Love to both. HAPPY, HAPPY ANNIVERSARY!!! We will be having our 42nd this December. i hope you do something special. 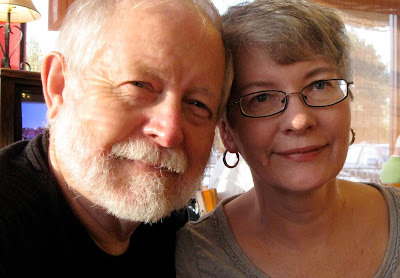 Very happy belated 44th anniversary wishes come winging their way to the two of you. What a very handsome pair you are! You are both blessed with each other. I love the photo of the two of you. I hope you had a wonderful anniversary. Congratulations to you both. Happy, Happy belated anniversary. 44 is a great number. Keep them coming. You two sound like a perfect match. Sorry I missed your anniversary. Congrats on #44. You are such a handsome couple.